FREE Delivery & Removal as well as Price Matching*! Best value is guaranteed when you buy the Franke KBG120BONYX Kubus Double Bowl Undermount Sink from Appliances Online. Trusted by over 350000 customers - Appliances Online Legendary Service! FREE Delivery & Removal as well as Price Matching*! Best value is guaranteed when you buy the Franke ANX220 Aton Double Bowl Sink from Appliances Online. Trusted by over 350000 customers - Appliances Online Legendary Service! FREE Delivery & Removal as well as Price Matching*! Best value is guaranteed when you buy the Franke HDX624RHD-FPC Hydros 1 and 3/4 Bowl Right Hand Drainer Sink with Accessories from Appliances Online. Trusted by over 350000 customers - Appliances Online Legendary Service! FREE Delivery & Removal as well as Price Matching*! Best value is guaranteed when you buy the Franke TA7811 Azimut Pull Out Tap from Appliances Online. Trusted by over 350000 customers - Appliances Online Legendary Service! FREE Delivery & Removal as well as Price Matching*! Best value is guaranteed when you buy the Franke CMX120-34/34 Centinox Double Bowl Undermount Sink from Appliances Online. Trusted by over 350000 customers - Appliances Online Legendary Service! FREE Delivery & Removal as well as Price Matching*! Best value is guaranteed when you buy the Franke KBG120ONYX Kubus Double Bowl Sink from Appliances Online. Trusted by over 350000 customers - Appliances Online Legendary Service! FREE Delivery & Removal as well as Price Matching*! Best value is guaranteed when you buy the Franke KBX120-34OF Kubus Double Bowl Undermount Sink with Accessories from Appliances Online. Trusted by over 350000 customers - Appliances Online Legendary Service! FREE Delivery & Removal as well as Price Matching*! 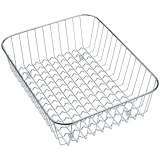 Best value is guaranteed when you buy the Franke DB664 Drainer Basket from Appliances Online. Trusted by over 350000 customers - Appliances Online Legendary Service! FREE Delivery & Removal as well as Price Matching*! 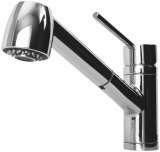 Best value is guaranteed when you buy the Franke TA9511 Taros Pull Out Tap from Appliances Online. Trusted by over 350000 customers - Appliances Online Legendary Service! FREE Delivery & Removal as well as Price Matching*! Best value is guaranteed when you buy the Franke CMX110-50 Centinox Single Bowl Sink from Appliances Online. Trusted by over 350000 customers - Appliances Online Legendary Service! FREE Delivery & Removal as well as Price Matching*! Best value is guaranteed when you buy the Franke ANX221LHD Aton Double Bowl Left Hand Drainer Sink from Appliances Online. Trusted by over 350000 customers - Appliances Online Legendary Service! FREE Delivery & Removal as well as Price Matching*! Best value is guaranteed when you buy the Franke CB964 Chopping Board from Appliances Online. Trusted by over 350000 customers - Appliances Online Legendary Service! FREE Delivery & Removal as well as Price Matching*! 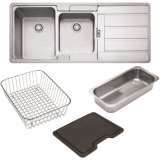 Best value is guaranteed when you buy the Franke KTX220 Karst 1 and 3/4 Bowl Sink from Appliances Online. Trusted by over 350000 customers - Appliances Online Legendary Service!